As Salman Khan continues his dominance over Eid releases with Race 3 marking it as the highest opener of 2018, the actor is busy concentrating on his two upcoming releases — Ali Abbas Zafar’s Bharat and Prabhudeva-directed Dabangg 3. The Bollywood superstar will be juggling the shoot for both the projects simultaneously asreported by DNA. Salman has also confirmed two more projects, perhaps raising the need for him shooting for two films together — a throwback to his earlier career. 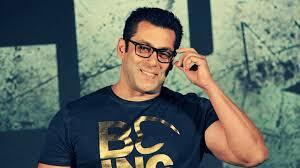 “I will also be doing Sher Khan,” said the actor, and also spoke about doing a Sanjay Leela Bhansali movie too. “But the script is still being worked on. At some point, Sanjay and I will discuss things,” said the actor, adds the DNA report. With a tight film schedule and his television commitments (Dus Ka Dumseason 3), Bharat and Dabangg 3 will be shot simultaneously to accommodate the busy star. Currently, Salman is abroad on Da-Bangg: The Tour-Reloaded, performing all over the US and Canada accompanied by Katrina Kaif, Sonakshi Sinha, Daisy Shah and other artists. On his return, he will start shooting for Bharat with Priyanka Chopra, Disha Patani, and Tabu. In between the Bharat schedule, Salman will also beginDabangg 3 shoot, which is slated for a 22 December 2018 release. While Bharat is an official remake of the Korean film Ode To My Father, Dabangg 3 will continue with the true blue action flick vein of the Dabangg franchise. Bhavesh Joshi superhero movie informaction.